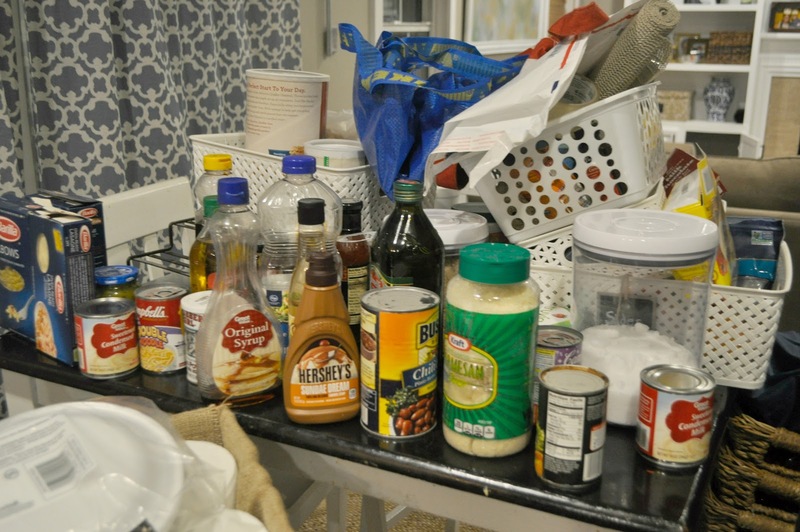 As you can see, I had containers and the intentions were good, but realistically the layout didn’t flow well and because of that, things just didn’t go back to their space, or they didn’t have a space. This isn’t any particular method that I researched, just where my mind went when thinking about the end goal of this project. So I started by clearing everything out of the pantry. I needed to take a good inventory of the things that I had. I tossed anything that was expired, or that I was holding on to “in case” I used it. Like those chili beans. I hate all beans and I really don’t know where those even came from, lol. I also moved some items to places that I had come up with a better organizational fit in other parts of the house. 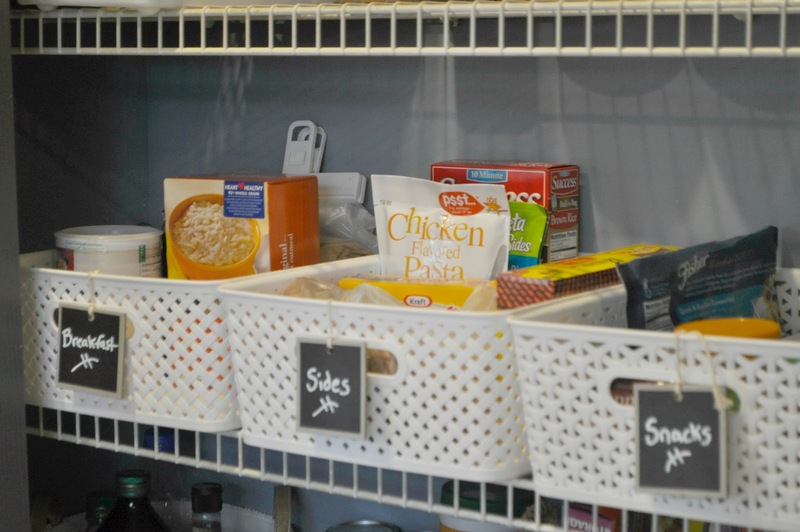 After the pantry was cleared, I wiped it down with a household cleaner, along with the buckets that held the food, then I focused on my strategy and determined the best fit for the items I had left. Because my kitchen is on the smaller side, I have to make the best use of every square inch. That’s why my pantry holds more than just food items. It pretty much holds any items, outside of food, that we need to be able to reach at any given moment. After I organized, I made sure that the containers were labeled, or at least the containers purpose was visually clear. 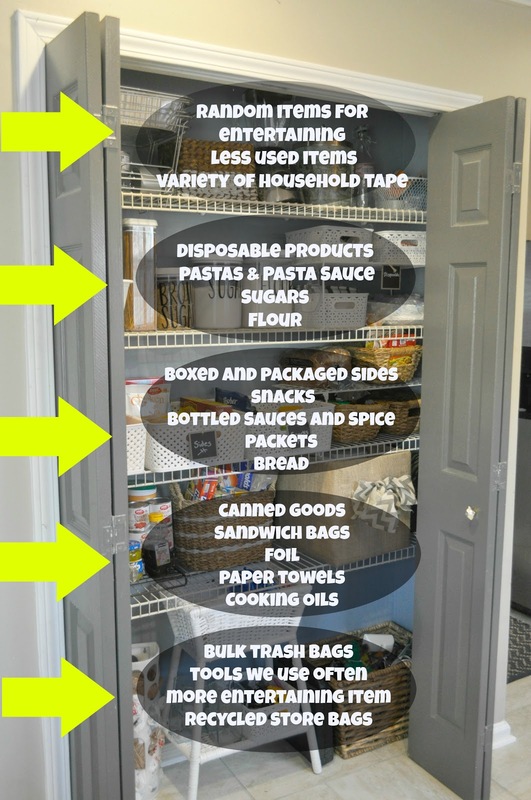 Don’t go overboard labeling the obvious stuff, but label containers that hold the items so that it’s easy to put things back where they belong. 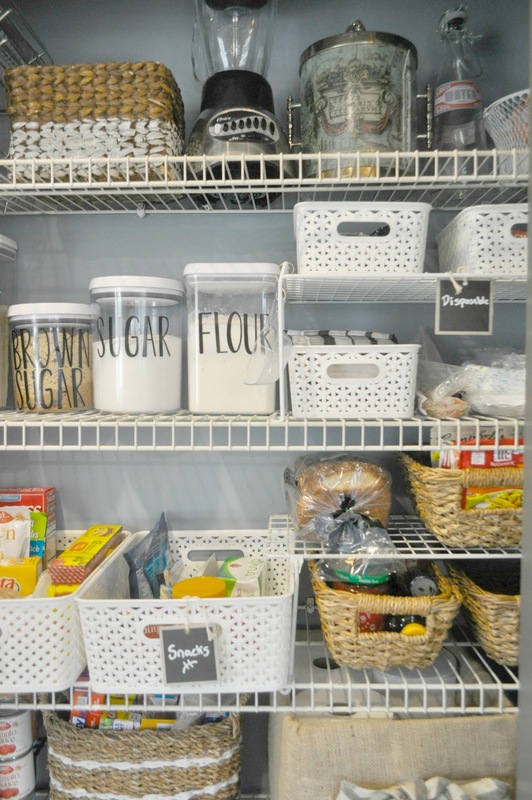 And that’s it… A simple and family friendly pantry makeover that even my husband can keep organized. 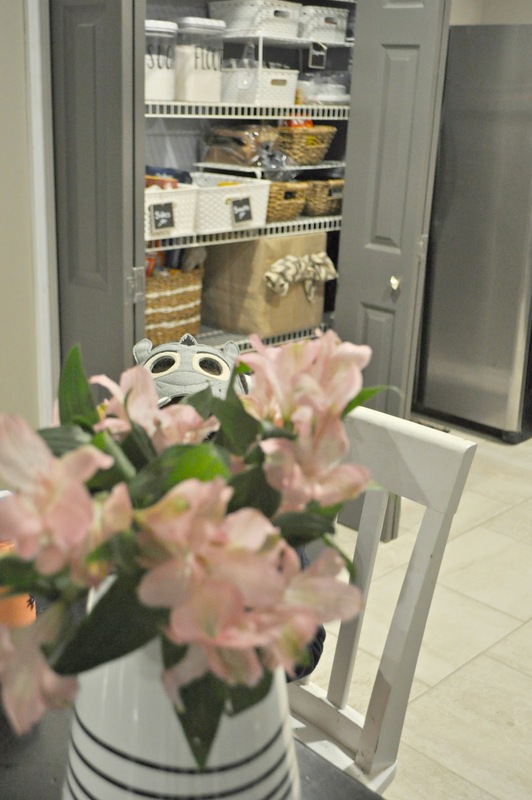 My pantry makeover flows so much better with newly made over kitchen. I purchased most of the containers from TJ Maxx, and even the OXO airtight containers that hold the flour, sugar and pasta last year. The smaller baskets came from Target, and some I shopped the house and used. The white wicker basket came from Goodwill. The box with the burlap fabric was a DIY and holds extra paper towels. 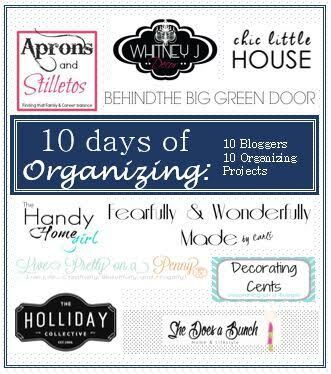 I got the sticker idea from my girl Alaya over at Behind the Big Green Door. People typically use vinyl to label these airtight containers, but these stickers from Hobby Lobby did the job and come in a variety of fonts and colors! 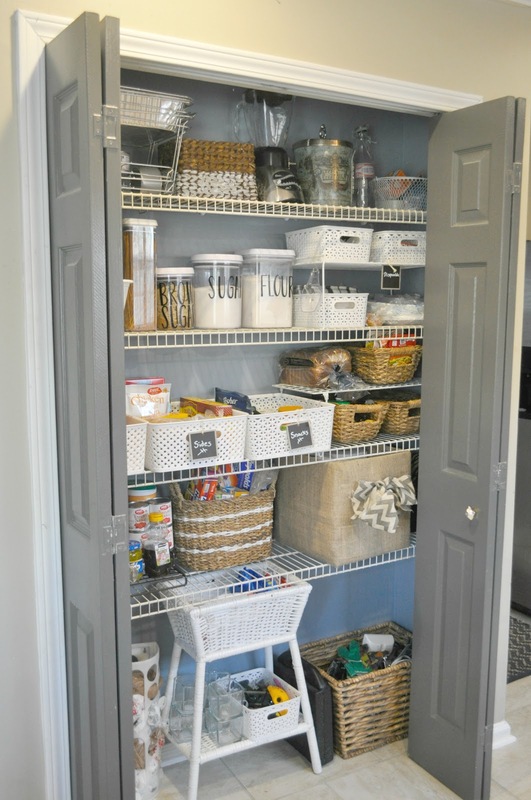 This pantry refresh cost me around $15 this time around. My plan is to one day get put some custom shelving in the space like Nicole did in her linen closet, so we shall see! So nice Erin! I'm embarrassed by my pantry so no pics will be taken. I know where everything is but looking nice it does not. I would like to take out the wire shelves and install wood ones too. I love the gray doors!! Thank you Andrea! I'm hoping this organization lasts for a while. Great post Erin! I have organized my pantry sooo many times, but it is hard to keep straight when you are the only one putting thing where they should go. I'm fighting a losing battle, lol! Thanks Keoshia! I am so hoping that my husband does the right thing. I'm not depending on my baby boy too much right now, lol. Wonderful organization here. Love the airtight containers and the big labels. I'm on a organization craze too. Tackling my stemware cabinet! Thanks for sharing! Thanks Marsha! Good luck on all of your organzing projects! Its so worth it once its all done. Great post, Erin! 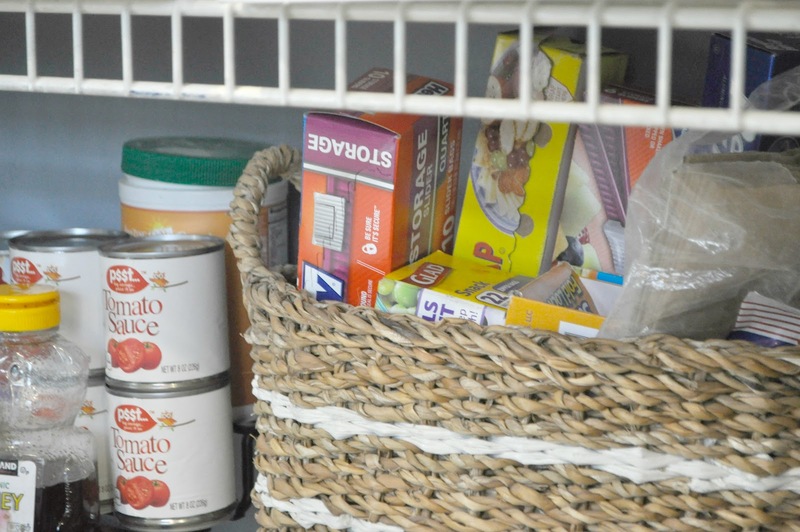 Your pantry looks extremely organized. 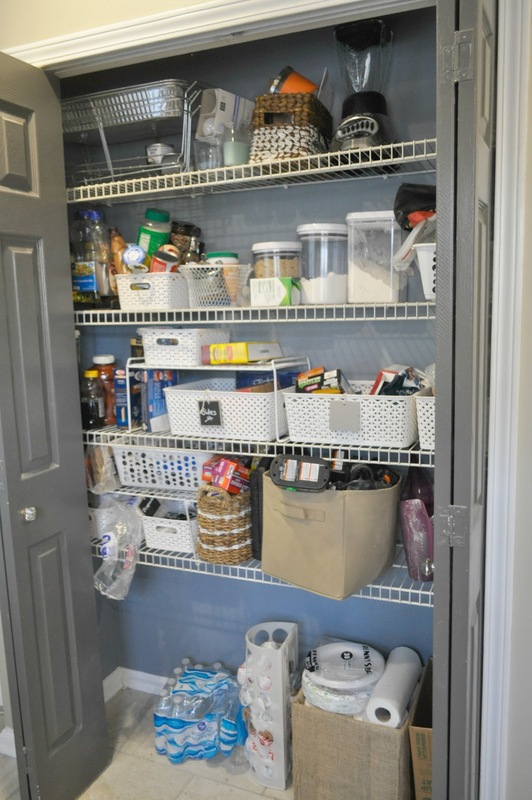 I don't have a pantry, but I'm going to use these tips to organize my kitchen cabinets. Thank you Whitney. Glad you can find use for the tips! 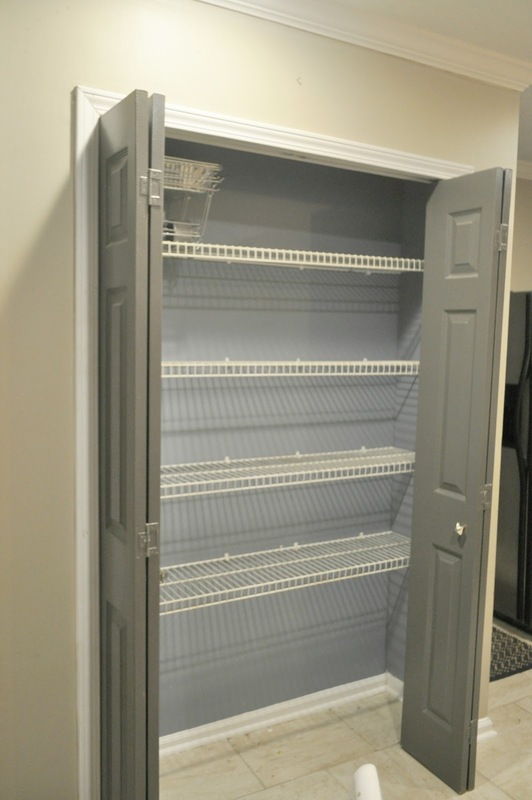 This looks so good Erin, I wish I had a pantry like that!! 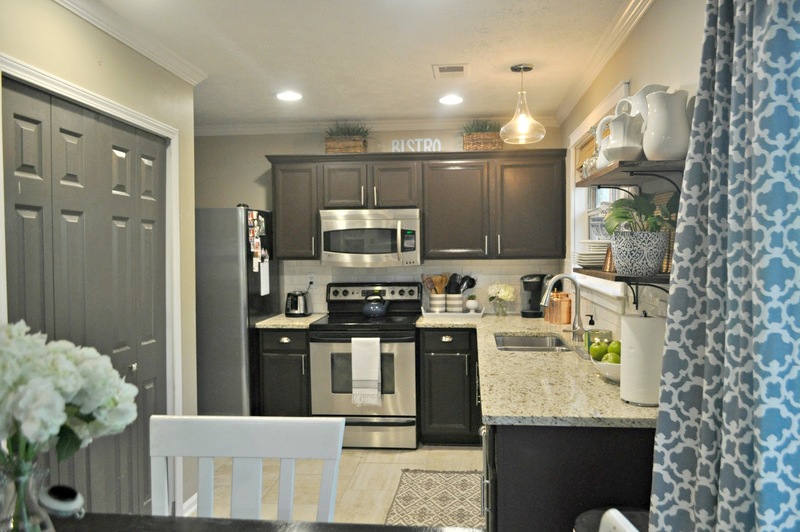 !I would get rid of all my cabinets! lol! I'm happy about the size of my pantry, I just need to keep it organized! hopefully this new system will help. Erin this looks great! 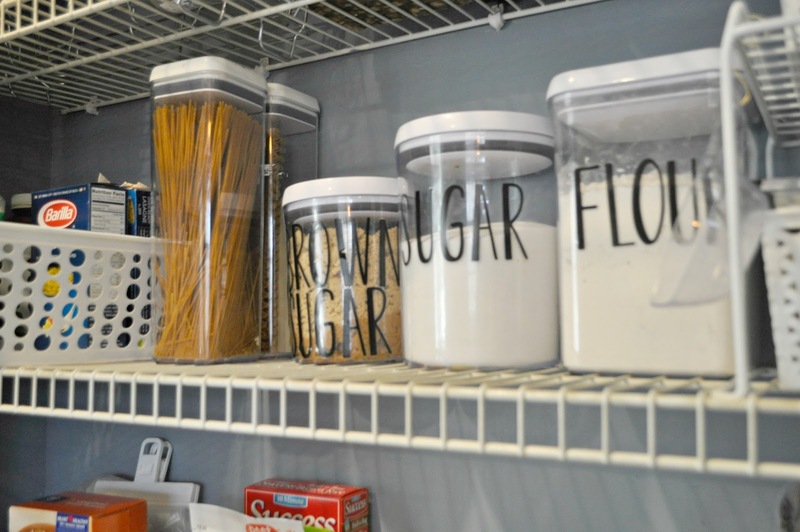 I'll def use some of these tips for my pantry, once I get around to it! Thanks Alaya! Glad the tips were helpful! Love this Erin !! I'm organizing the kitchen and pantry now ! I'm Defoe implementing some of these ideas !! Yeah, I love the way it turned out! The labels on the containers are my favorite part.